QUILT - Ziggy Boo! 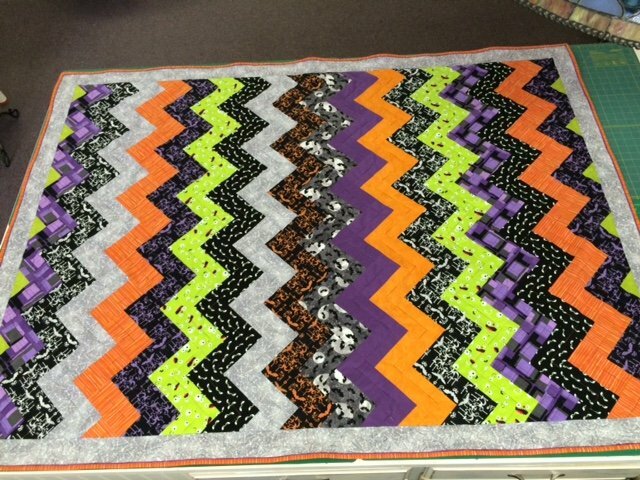 Zig zag chevron quilt in Halloween prints 100% cotton perfect for the little goblins to snuggle under! 50 x 68 inches.